The World's Best sweet-pear charged Superbalm Lanolips 101 Ointment Multi-Balm Pear. 100% natural. *A little tube of magic*. For super dry lips, skin patches, cuticles, nasal passages & more. 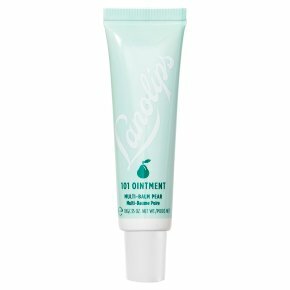 Lanolips 101 Ointment Pear - Use for extremely dry lips, skin patches, cuticles & many more. A super dense balm that seals in moisture. Multi Award Winning Hard-working & powerful multi-tasker Dermatologically tested Holds 200% of its weight in moisture Vegetarian & baby friendly With added pear extract - The presence of vitamin C, vitamin K and copper in pear fights against free radicals that damage our body cells.